You may have noticed that it has been a while since I last posted – it’s been an eventful summer. The two big events were THE WEDDING and THE STORM. 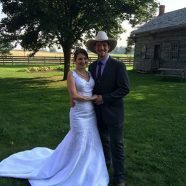 Our oldest son, Connor married the love of his life, Rebecca (yes, there is now a Rebekah Stoddart [daughter] and a Rebecca Stoddart [daughter-in-law]) on Labour Day Weekend. 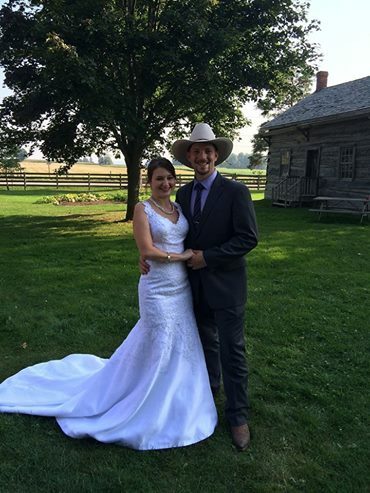 The wedding was on the grounds of a small pioneer museum not too far from the farm. It was a whirlwind weekend with both Silvia’s sister visiting from Australia and my sister and her family visiting from Nova Scotia. 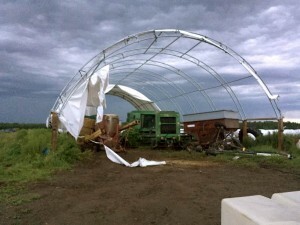 THE STORM was an unwelcome visitor on the August long weekend. 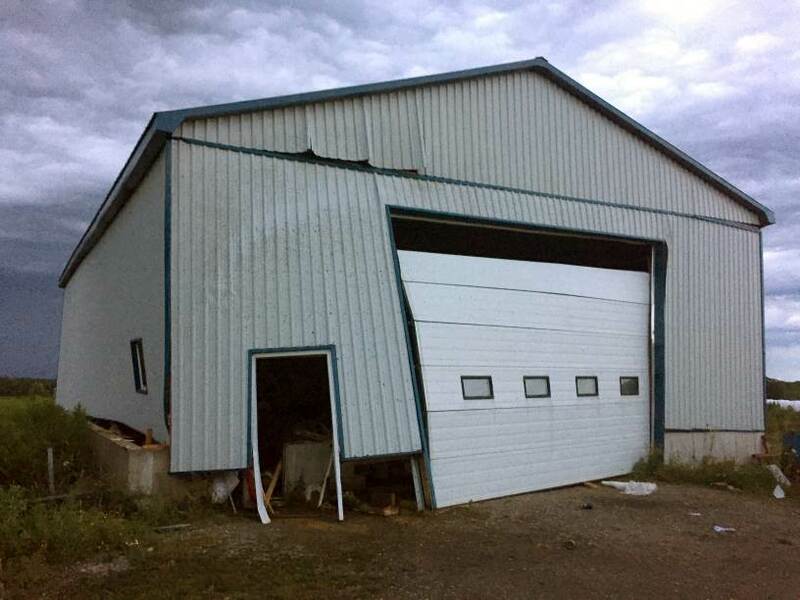 We took some serious damage to two buildings – our tarp building and our main farm shop. 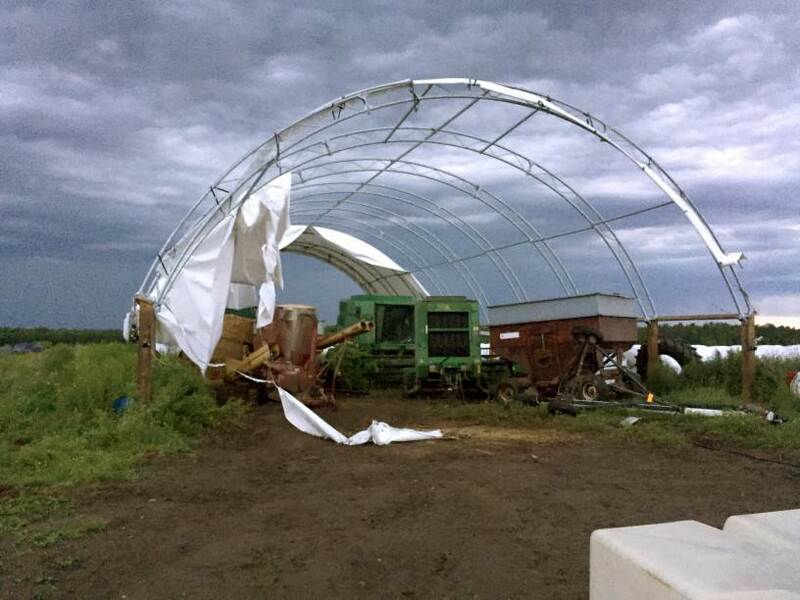 Thankfully, no one was hurt and we only lost a couple of chickens and a couple of turkeys – despite both their pasture pens being shifted a number of feet. The tarp was replaced last weekend (Yay! – I now can park my equipment under a roof again). The boys and I are working at taking the big shed down for it to be rebuilt. We’ve emptied it. Removed the electrical and air lines. Removed all the steel from the interior walls. Removed 100 yards of blown in insulation from the attic and all the insulation batts from the walls. This week steel starts coming off the outside.